This is a recipe that I got from the most wonderful neighbor. It’s something she serves regularly for her Sunday Dinners after church. Friends and family request it, but I had never heard of Rice O’Brien Apparently, I don’t travel in the same circles that she does. When I asked about the recipe, she explained how it was made, and that it can be made from freshly cooked or leftover white rice. I often have leftover white rice, so I made a note of the recipe. This recipe can also be made with cooked brown rice. 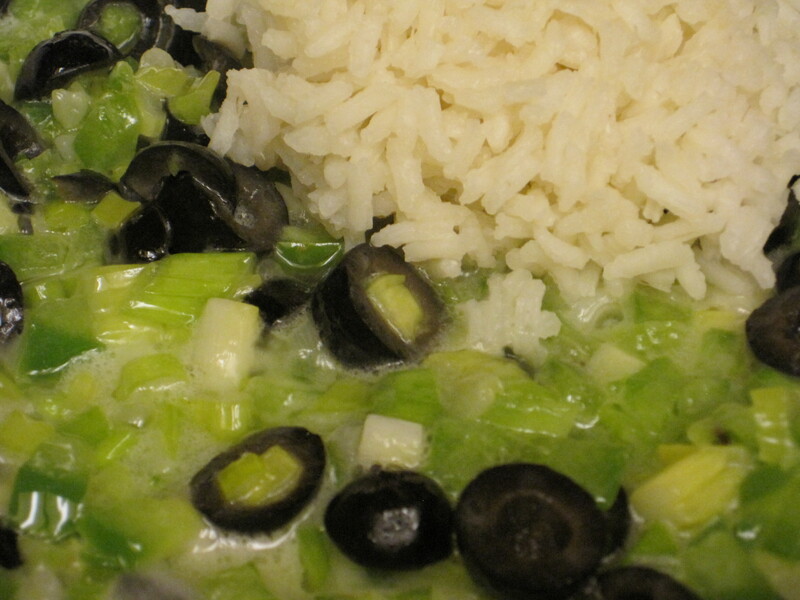 I previously posted a recipe for Lima Bean Rice O’Brien during my 30 days of beans. In that recipe, I cooked the rice in the leftover Lima bean cooking liquid, or broth. 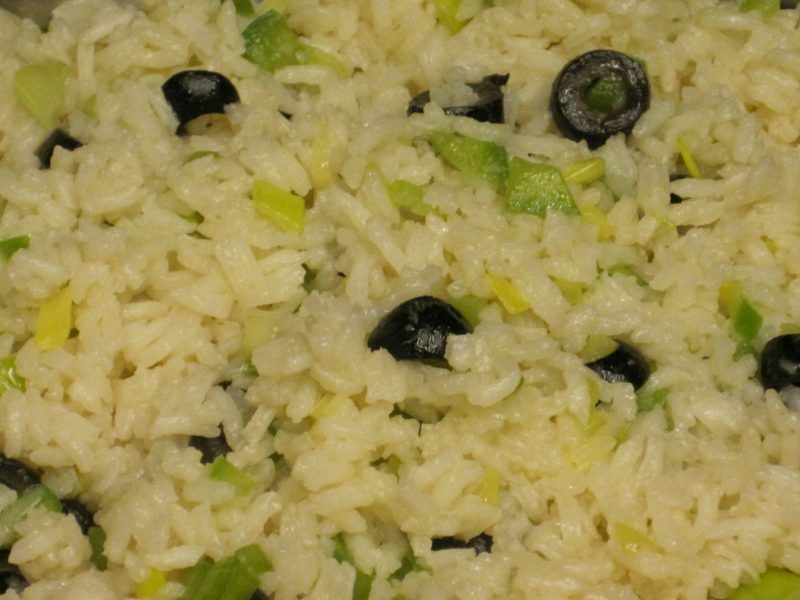 To add extra flavor in the absence of bean broth, the rice can be cooked in broth or bouillon. In fact, my neighbor recommends cooking the rice for this dish in broth. If you use bouillon, you may want to eliminate the salt from the recipe. The entire process is very simple. Butter, or coconut oil, is melted in a skillet over medium heat. Obviously, I used butter, but I have used coconut oil in the past with excellent results. 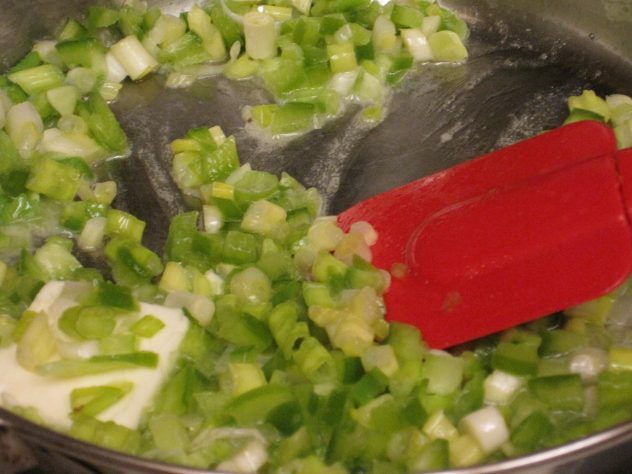 The bell pepper and green onion are added to the butter and sautéed until tender. The olives and the optional pimentos (if you’re using them) are then stirred in and allowed to heat through. I didn’t have any pimentos for this batch. This was a shame, because the red really makes it look so much prettier. This can also be made with red or yellow bell peppers instead of green. Salt is stirred into the vegetable mixture, then the rice is added to the skillet and stirred/tossed with the other ingredients until rice is heated through and everything is mixed well. Once this step is completed, it’s ready to serve. This is a delicious and simple side dish that goes well with whatever type of meat you’re serving. For a complete meal, some precooked, and chopped meat can be stirred into the pan along with the rice. I often toss leftover chopped meat into leftover rice O’Brien to take to work for lunch. Cooked rice is stir fried with peppers, onions, and olives in this simple and delicious side dish that is a great accompaniment to any meat dish. For added flavor, cook the rice in chicken broth instead of water. Cook"s note: 1 cup of rice cooks perfectly in 1 can of broth. 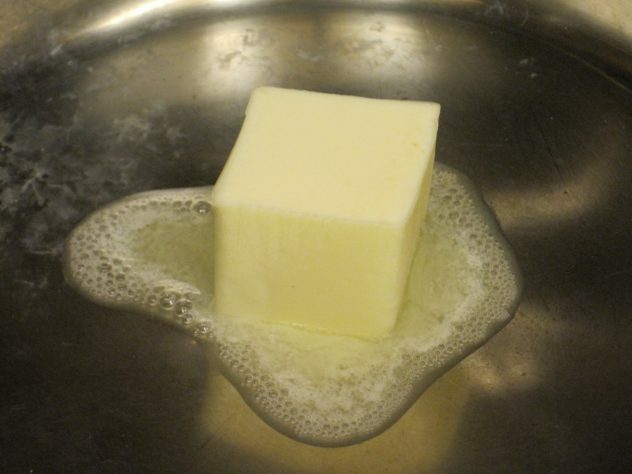 Melt butter in deep skillet. Add bell peppers, and saute until they are becoming tender. Add sliced green onions, and saute for 1-2 more minutes. 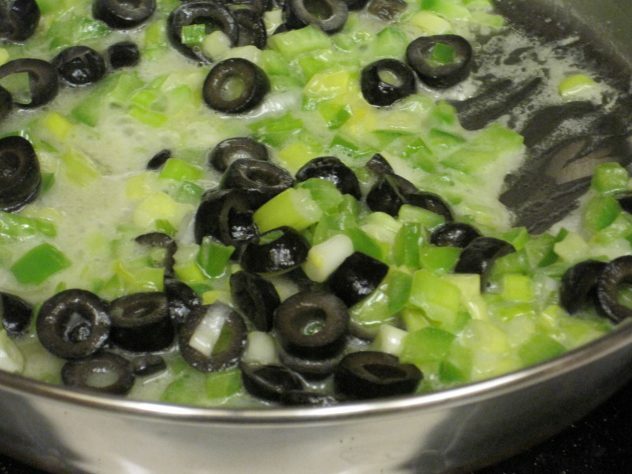 Add sliced olives and saute for 1 minute, stirring frequently. Add cooked rice and stir fry until rice is heated through, the vegetables are well incorporated, and the rice is well coated with the butter mixture. Serve as a side to your favorite meat entree, or eat as a stand alone dish. Ahh… A variation of Potatoes O’Brien where you go to the store and get a bag of frozen potato bits mixed with green peppers, onion, pimentos, buttery broth and fry it in a big buttered pan. I’m lazy on Sunday mornings where this recipe is used the most. Either one sounds good, but I think I would prefer yours with breakfast. Of course, I do occasionally like rice with my eggs. oh…. the Rice sounds delicious! I gotta give your recipe a try! Thanks for sharing! I love any recipe that can transform leftovers. I make fried rice so often that I’m glad to have another way to use my leftover rice. I’ve never heard of Rice O’Brien before but I think I’m gonna like it!! I’m glad I’m not the only person who hadn’t heard of it. Oh my, I found it! Ive looked for this every once in a while for years. My mom made it in the 1960’s and I remembered liking it. I couldnt recall enough to make it and she couldnt remember it at all. My brothers were also useless. Indeed, its only fumbling the spelling on my phone that led me here today, I’ve been looking for Rice O’briAn, and that never got me any recipes at all! It surely is an odd combination of ingredients and name, isnt it? It’s definitely a strange combination of ingredients. I’m glad you were able to find it, and I hope it measures up to your mom’s recipe.